Wrythen ale glass with slightly flared rim, the wrythen decoration runs approximately three quarters up the bowl. Folded conical foot. English C1760. Condition: Very good with no restoration. There is a small seed in the bowl half way up the bowl. 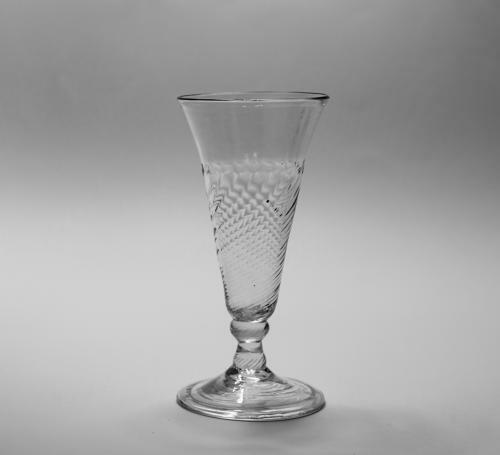 Note: A good example of an early wrythen ale glass.